We call this retreat an ashram because we come together to practice. Through our shared commitment we co-create a profound container which allows us to let go into the depths of spiritual awakening. 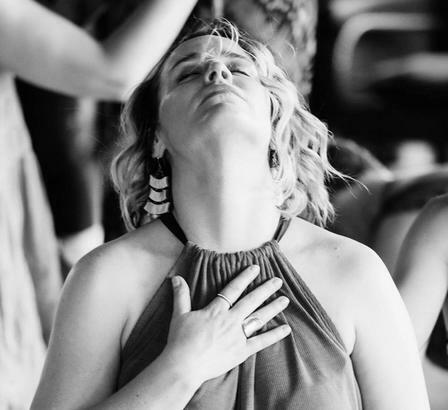 This container of practice is a space full of beauty and sisterhood that actualizes when each woman honors the space we create together with all her heart, showing up fully for practice, for the benefit of all. 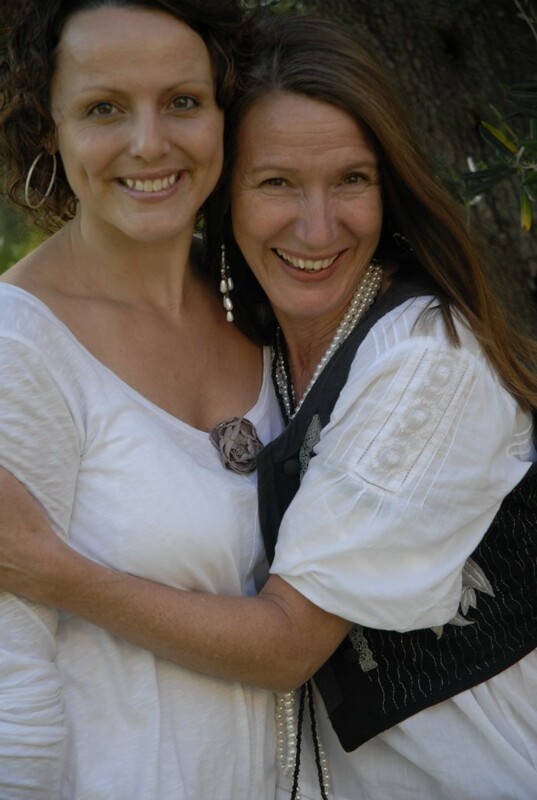 We support each other to stay true to our deepest calling, while honoring the full spectrum of the feminine in us all. We do include inner yoga practices and movement in our practice, but this is not a Yoga retreat. 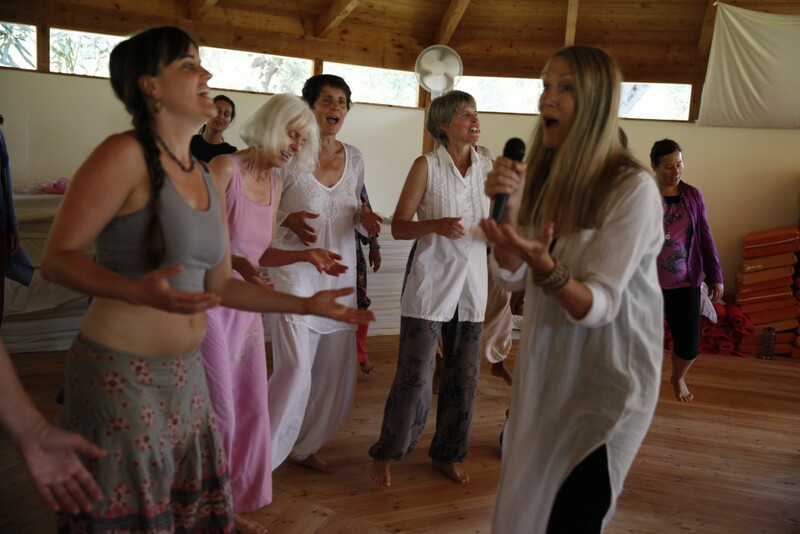 For many women this annual ashram time in Greece has become the oasis we return to again and again to be awakened and loved beyond our wildest dreams. We have had women traveling in from Sweden, Norway, Switzerland, Holland, USA, Germany, South Africa, Peru, Mexico, Russia, Italy, Australia, Taiwan, India and even New Zealand. Real sisterhood among conscious women. Women dedicated to a conscious world, for ALL. 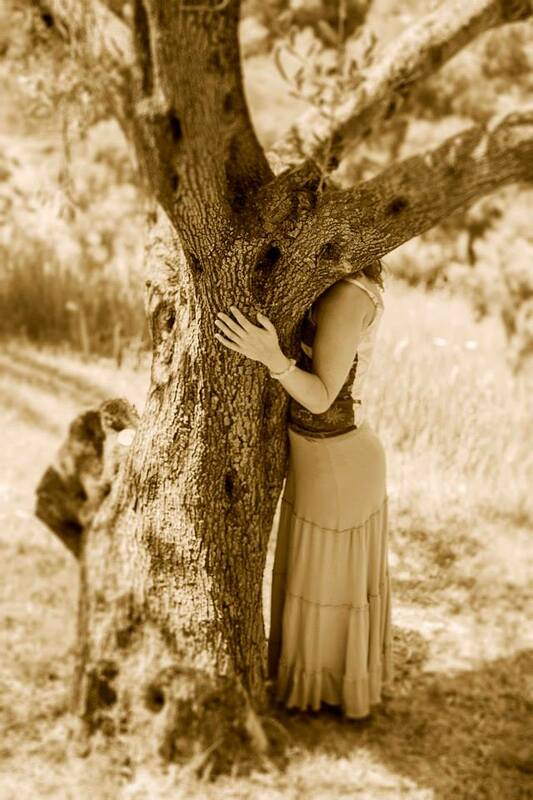 The circle births us into real womanhood, and gives us infinite roots in all directions. 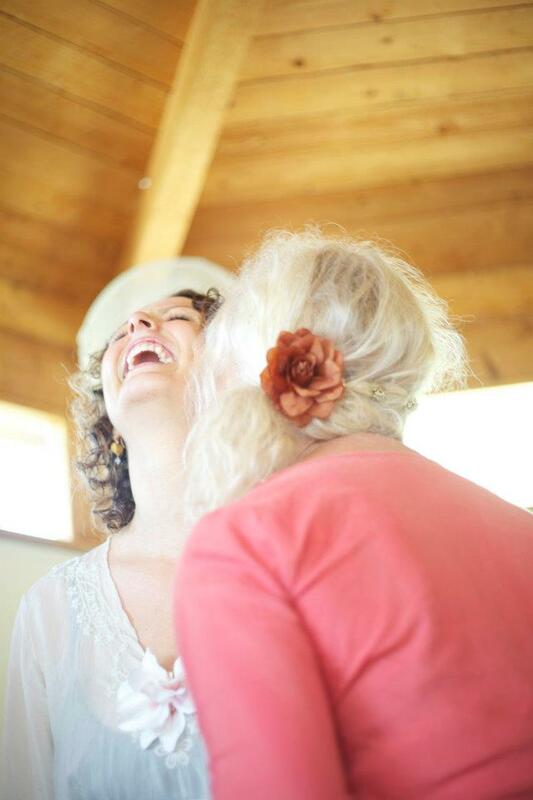 Surrendering into the flow of giving and receiving, giving and receiving, we taste real sisterhood. Trust. Strength, courage, clarity, beauty. We will practice in Corfu for 4 weeks. You can join us for the whole month or choose which week is right for you. 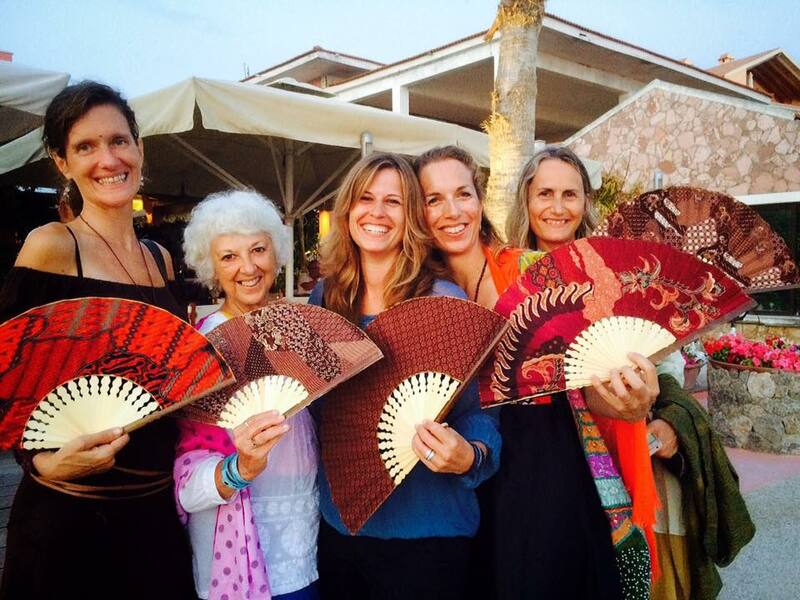 When the Yoginis gather in Corfu, magic happens. Each year we arrive on the island, this field gets stronger. Together, we contribute in co-creating a field of Shakti that feeds us all with a powerful transmission of grace and awakening. It cannot really be put into words. All I can say is this: if you feel the call, and feel ready to step two feet in to a committed field of practice, come join us! you can go ahead and register and make your deposit here. since we have made some changes in the program. If you would like your reservation to include Week 3 you will be added to a waiting list. Spaces for Week 1 only participants are full and you may still join for multiple weeks. IMPORTANT: After submitting your payment you will be redirected to the registration form. First of all: we go deep. We don’t sit around and only talk about awakening; we’re all about direct experience. This is a highly experiential path; a lot of the practices are interactive and include movement and also respectful touch. The feminine touch, because it has such an inviting quality to it, invites deeper presence into our bodies. All the numb and cold places, the unmet corners of our body can be visited with gentle awareness as we cultivate a greater capacity to allow feelings as energy to flow through our bodies. In the feminine touch our bodies can slowly, slowly open and soften. The basis for all spiritual exploration in the Shakti tradition is the insight that that which we are longing for is who we already are. Thus our practice is not towards a goal of attainment in the future, it is a process of melting, of unraveling the wisdom and beauty already inherent in each woman. 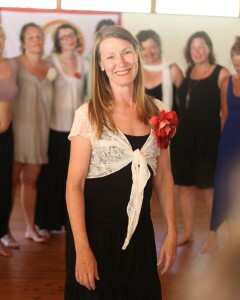 And there is no more powerful place to do that than in the Yogini circle. We practice the feminine way, an all inclusive in-the-body spirituality, beyond dusty dogmas and far fetched goals of the future. 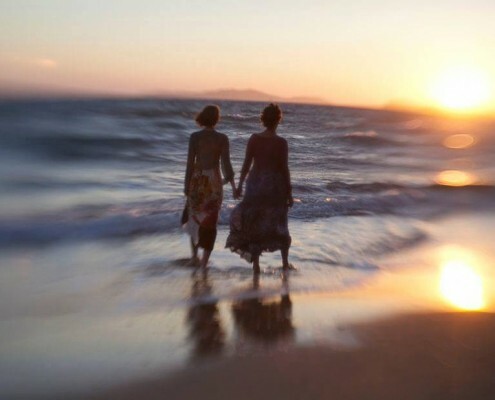 Spiritual awakening, instead of being a peak experience you once had or a concept you read about and compare yourself with, becomes a lived and embodied realization of freedom and love uniquely experienced and expressed through each woman. 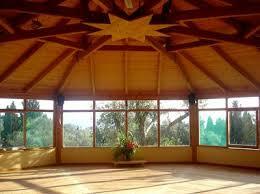 We do include inner yoga practices and movement in our practice, but this is not a Yoga retreat. with fierce truth, with compassion and unconditional love. 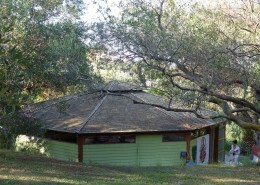 We call this an ashram retreat because the days are structured around a schedule of practice. Our ashram routine sets a strong container for us to travel together to inner depths that are only possible through Iccha Shakti, the power of commitment. 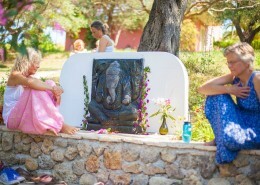 Although there are plenty of breaks for beach and rest, this is not a festival-like retreat where you can show up to only some of the sessions. Please do come only if you feel attracted to a firm schedule and agree to honor and respect the field we create together by showing up to all sessions, on time. 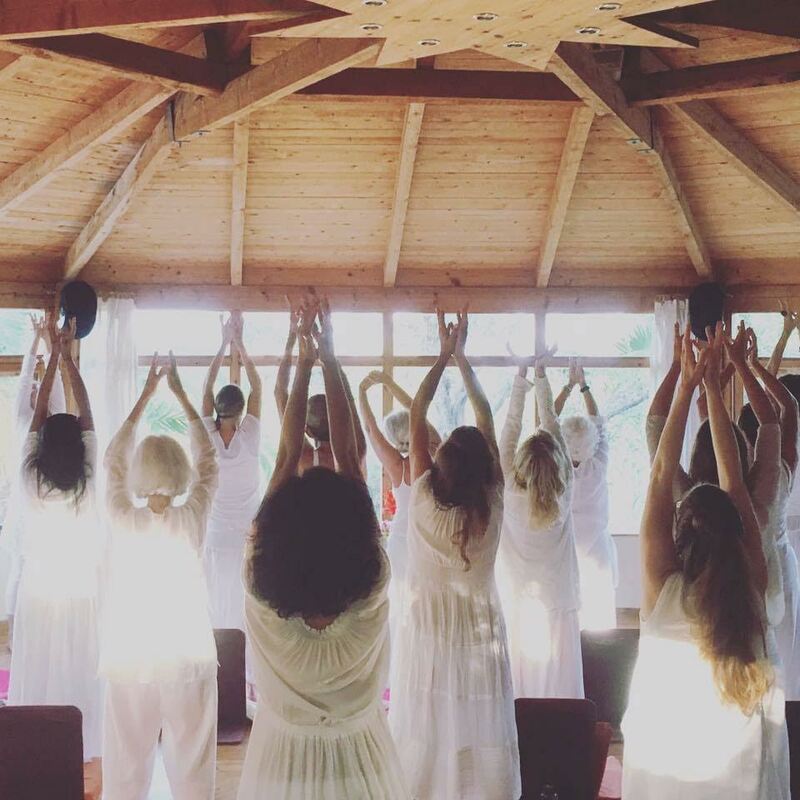 The women gathering in our summer ashram all have a basic understanding and love for feminine/embodied spiritual practice. We do not spend much time discussing awakening in theoretical matters, through practice we go deep into direct experience. 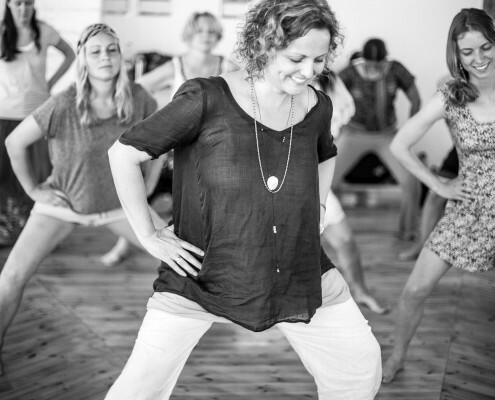 Our retreats are based on powerful shakti practices, there is an intensity to the embodiment practices that can be challenging if you are not used to it. These are not therapeutic programs. If you are in any way feeling unstable psychologically, are going through a severe crisis or have a history of mental illness, we ask you to not join these events. It is hard to convey in words the power of what happens in the circle through seemingly simple practices. For me it was a deeply embodied spiritual experience, a simultaneous blossoming from the inside out and unveiling from the outside in; all nurtured and nourished by the sacred embrace of the circle and loving presence of the women. 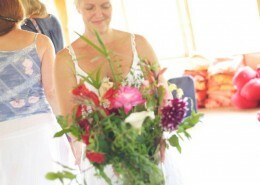 This was not just a holiday to Corfu, it was a journey back to wholeness, to myself, to the loving presence that I am. Infinite gratitude to Chameli and her team for this priceless gift. At home…still with the smell of thyme, jasmine and lemon, from Paradise inside…Like fragments from a dream I see women from all lifetimes, moving softly in the morning mist. The wind in their white clothing and hair…the whispering voices, the breathing, the sound of sandals in the grass, while silently walking to the morning meditation and the Gayatri Mantra… All the songs, all the prayers, all the tears and laughs and wisdom we have shared…We have washed and strengthened our souls, opened the deepest rooms in our hearts, to BE the space we are – not only for ourselves, but for all women and the collective consciousness… Magic. We begin and end each day with devotional singing practice. The sacred sounds of mantras vibrate through our whole being; a tenderness and a wildness is allowed to arise from the inside out when only we have the patience, and fine-tuned sensitivity to wait and allow. 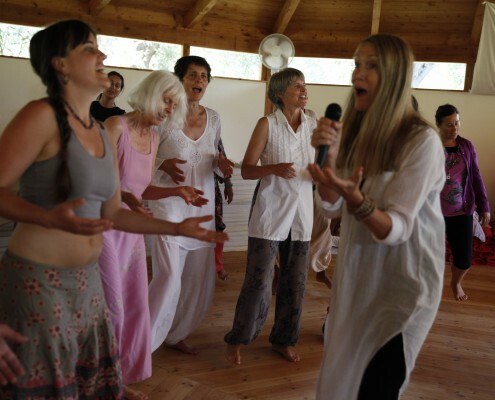 Many speak about the exquisite “Yogini style” of mantra singing, and how it is an essential part of the retreat experience. 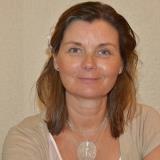 Carina-Maria Caur will lead the singing practice in weeks 1 + 2 and Helga Høgåsen will lead us in weeks 3 + 4. 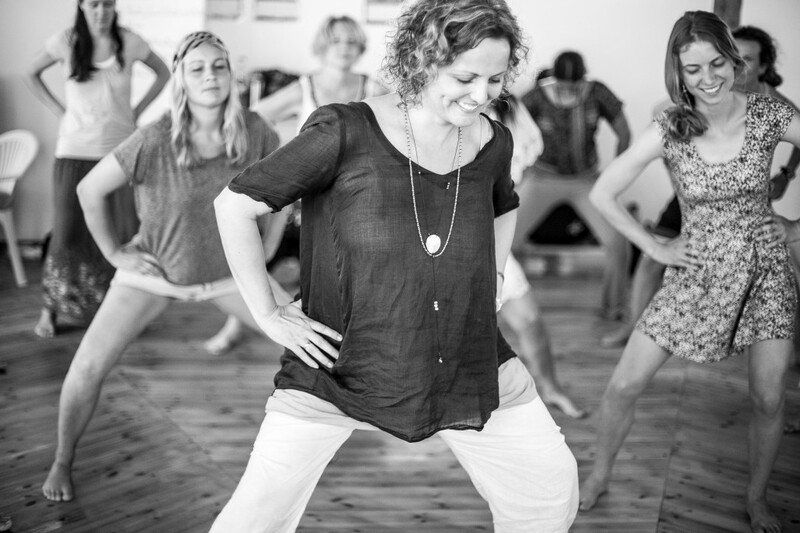 Lifedancing moves you through the elements of earth, fire, water and air, and gives you a deeper understanding of the feminine cyclic dance in different life processes: in your relationships, your lifework, in creativity and within. Magnificently the most powerful and best retreat/intensive ever — and I have been around the block a few times with spiritual experiences! 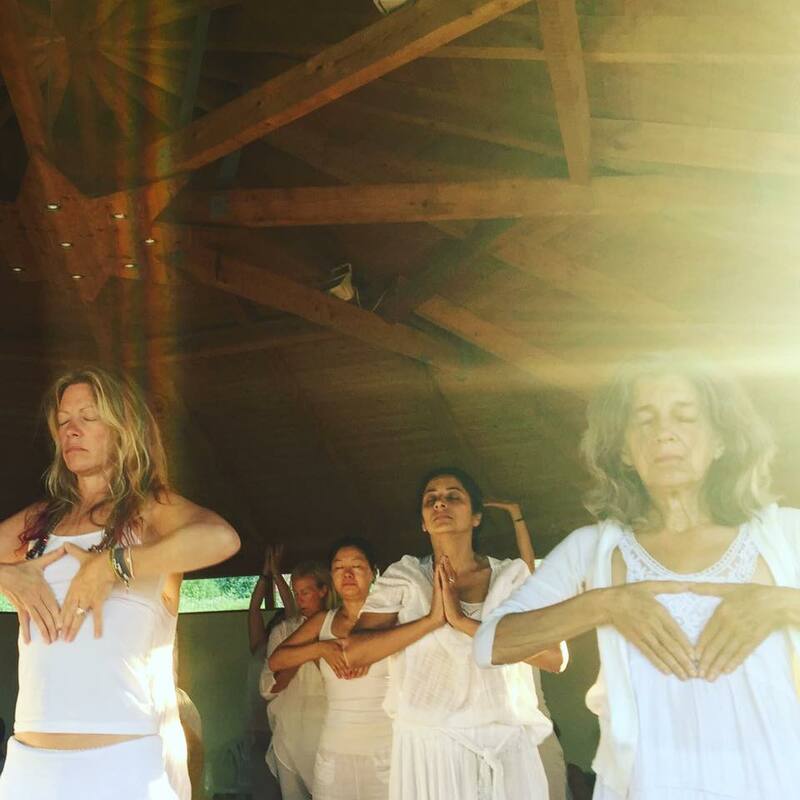 I thought the yogini retreat would be about silence, meditation, spiritual conversations — all what I am used to experiencing. But what I received— freedom! All of my senses were awakened in love and spiritual acceptance, and the power held within every one of our hearts was palpable. The space was so full of the Presence — and the liberation 7 generations back and 7 generations forward — was clairvoyantly visible. This was a deep plunge into the vast open space of love of my heart. It was a renewed encounter with the Beloved in all things and a wonderful relaxing into the truth held in the present moment. I am in love, naturally. In the summer of 2019, we will be in Corfu for 4 weeks. You can join us for the whole month or choose the week that is right for you. 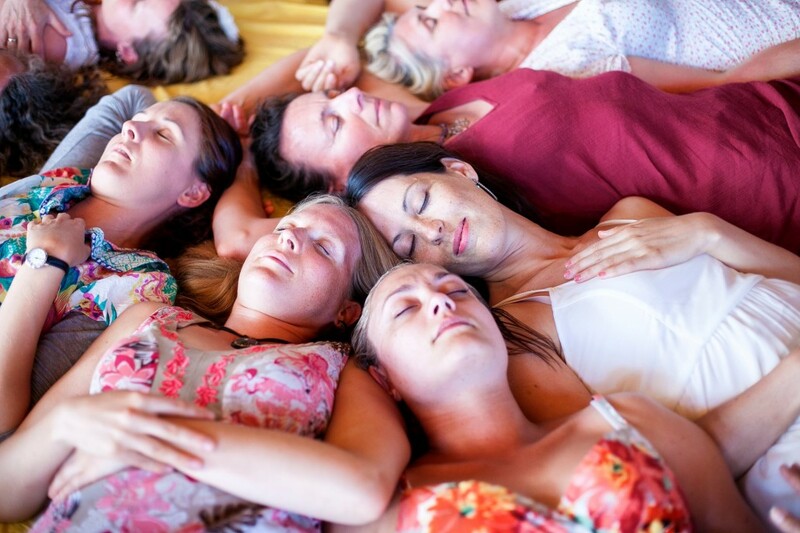 If you have not been in retreat with us before, you can join the ashram in week 1 or week 3. 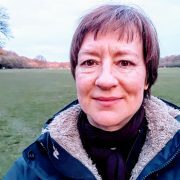 All participants must have a background in spiritual practice, as well as a basic knowledge and experience of the Awakening Women Practices through at least one online Sadhana. Seats for Week 1 only are full and we have a waiting list. There is still space to join for Weeks 1 AND 2. 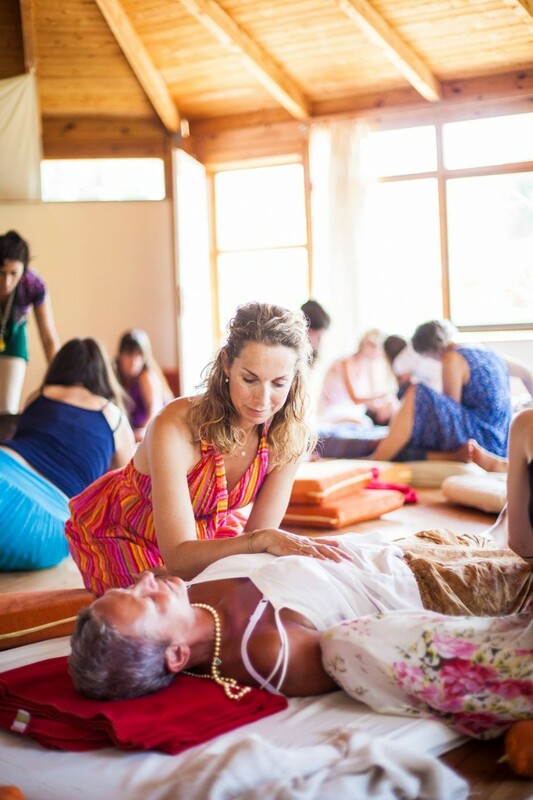 In The Yogini Immersion Retreat, our focus is dropping into the body with the deepest feeling awareness. 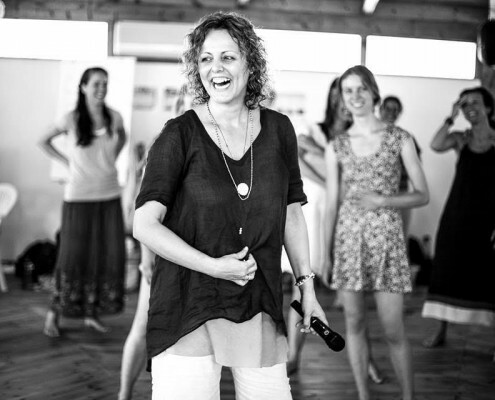 Through illuminating dharma talks, feminine embodiment practices, devotional chanting and dance, you will experience life more fully – not only thinking about things, but actually feeling and sensing through your body. In return your body will reveal to you an intelligence that will become your most loyal instrument of navigation through the ups and downs of life. 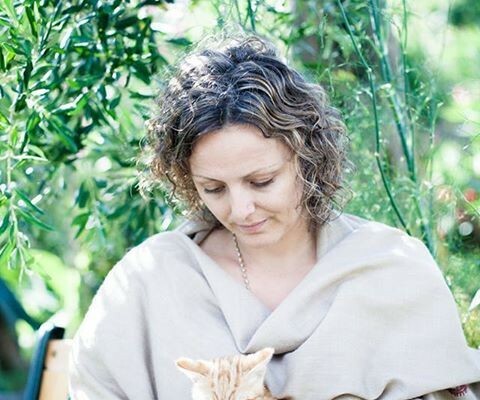 Although first timers are welcome to join, you must have a background in spiritual practice, as well as a basic knowledge and experience of the Awakening Women approach through at least one online sadhana. (Here you can find self study online courses.) We dance for two hours most days, and it is essential that everyone participate fully also in this practice. 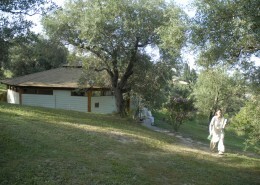 This is the most intensive part of our Summer Ashram, with a program from early morning until the evening. There is a long break in the middle of the day for beach and relaxation time. Our ashram routine sets a strong container for us to travel together to inner depths that are only possible through our shared commitment. 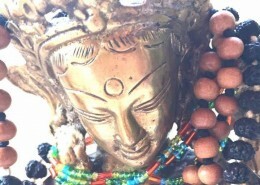 This retreat is only for women who are ready for an intensive practice schedule. 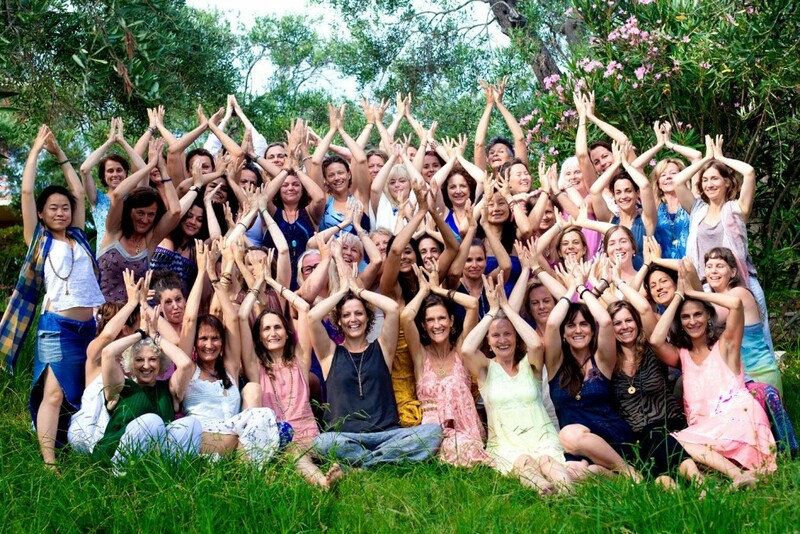 Can I come for one week of The Yogini Immersion only? 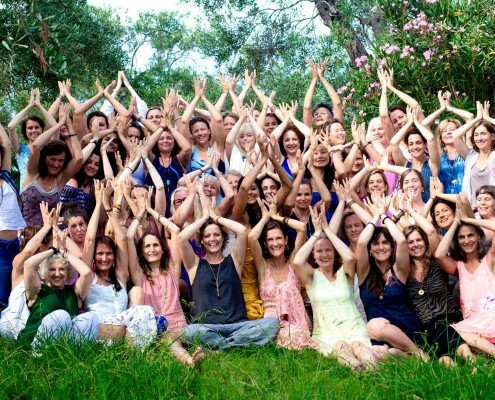 Yes you can, but the Yogini Immersion Retreat is created as a two week process. If you can only attend one week, we recommend that you join us for Week 1. *If you join us for Week 2 only, you are jumping into the middle of a retreat. 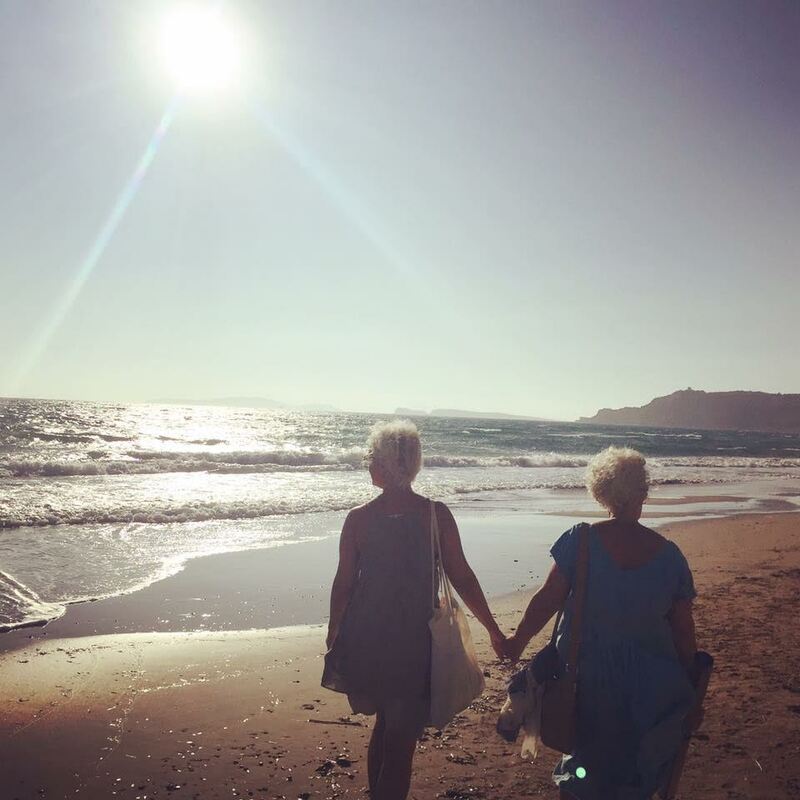 From previous years, women have given us the feedback that it can be challenging to come from the busy daily life to join a circle of women who have already been in Corfu for a week and are so soft, still and wide open. There will be one day during each week where you will have more open time. In Week 1 there will be a group trip to one of the most beautiful beaches on the island. IMPT NOTE: Week 3 is now full. You may request to be on a waiting list. Sri Lakshmi is the Goddess of abundance, beauty and wealth. She removes the perceived separation between spirituality and so-called ordinary life. 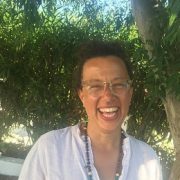 She illuminates and liberates us from limiting beliefs and unconscious loyalty to lack, and shows us how we can live the infinite abundance of our spiritual awakening in an embodied and practical way; how we can put our unique mark of beauty onto the world. 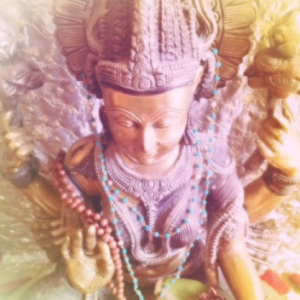 In our practice with Lakshmi, we will use her four arms as our map. This gives us a powerful blueprint of how our material life, relationships and our longing to contribute are not in any way separate from our enlightenment. The arms symbolize: Dharma (right living), Artha (genuine wealth), Kama (sensuality, desire, love) and Moksha (ultimate liberation). 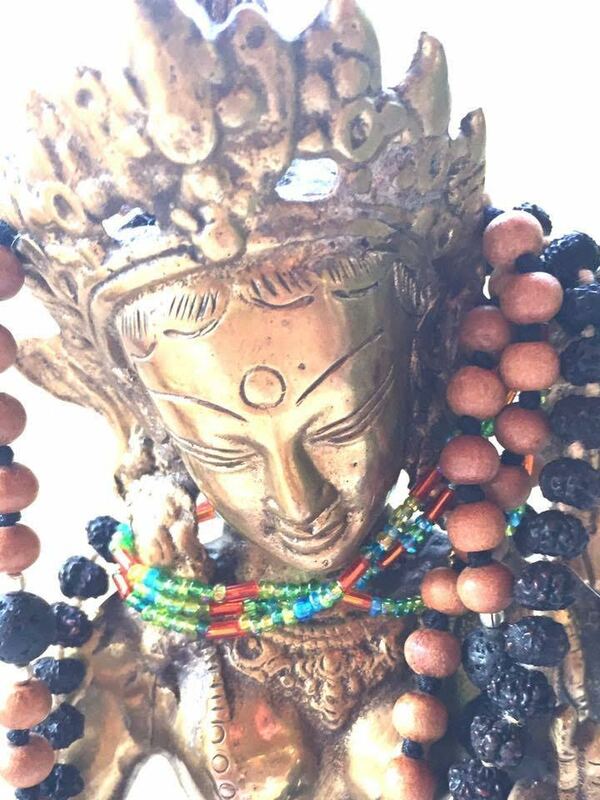 Through illuminating dharma talks, feminine embodiment practices, devotional chanting, silence and sisterhood, we will study and practice with the Goddess as a powerful mirror of the expression of awake consciousness in feminine form. She will show us potent portals to awakening and wholeness. 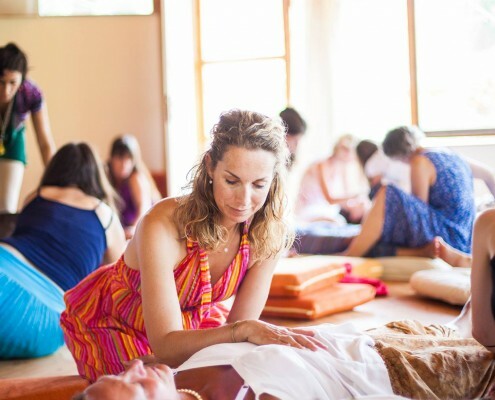 Through devotion, movement, deep relaxation and body-opening practices we will tap into the source of our power. 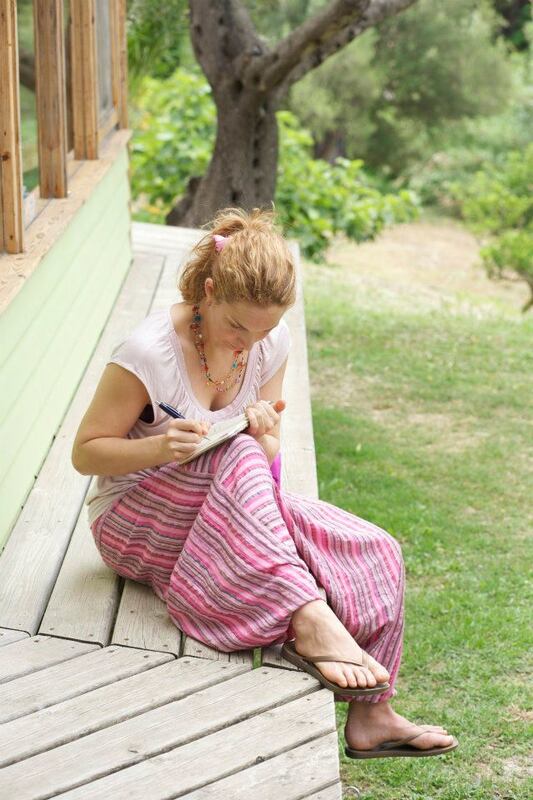 This week offers more open time than in the rest of our Yogini Ashram Retreat time in Greece. It is perfect for you if you would like to combine practice with free time to rejuvenate on the beach and enjoy the island of Corfu. Although there are plenty of breaks to rest and integrate, there is an intensity to the embodiment practices that can be challenging if you are not used to it. We have sessions from 7 am – 2 pm and the rest of the day is free for beach and integration. Alexis Zorbas and the many other retreat centers in the area often hold evening events that you can join if you would like. 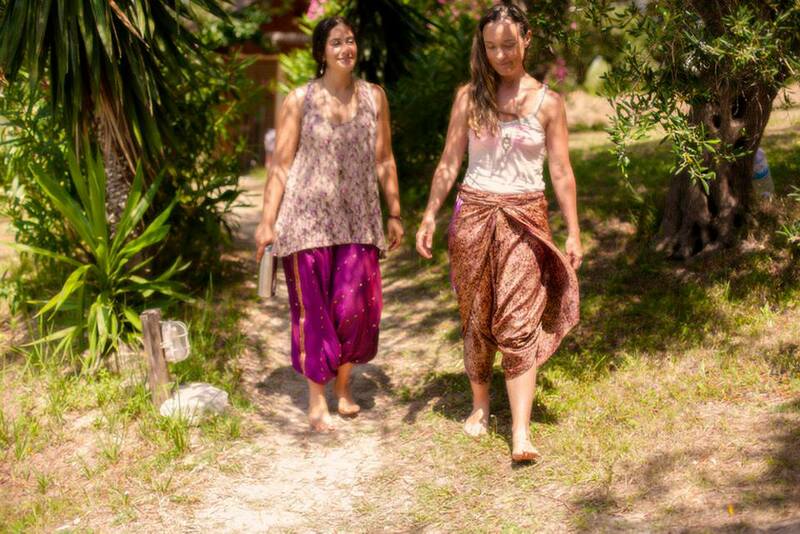 *Although first timers are welcome to join the ashram in Week 3, you must have a background in spiritual practice, as well as a basic knowledge and experience of the Awakening Women Practices through at least one online sadhana. (Here you can find self study online courses) . In our practice, we will work with the many Goddesses of Voice and Sound to open our voice as portals, as instruments of truth. 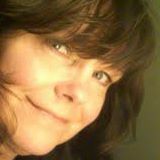 We will explore the link between voice and creativity, voice and the womb, and sound as a path to spiritual awakening. The Voice Goddesses, including Saraswati, Matangi, Bagala Mukhi and Bhairavi, activate our voice by touching the wild aspects of the feminine. 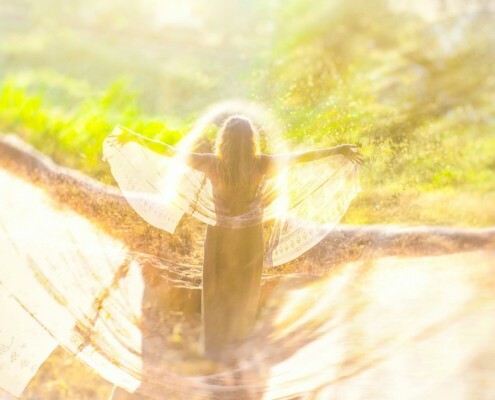 They liberate our unique expression of life force from the patterns of fear and numbness, opening the doorway for our words to be a reflection of the heart, to emerge from source. We will work with singing and mantra to purify the channel of speech. Mantra is sound; sound is vibration. When we allow our words and voice to express the frequencies of mantra, it purifies and aligns the frequencies of our voice, like a tuning fork inside the energetic body. When we chant mantras, our sense of self re-aligns with this vibration, and the medicine of the Voice Goddesses is awakened in us. 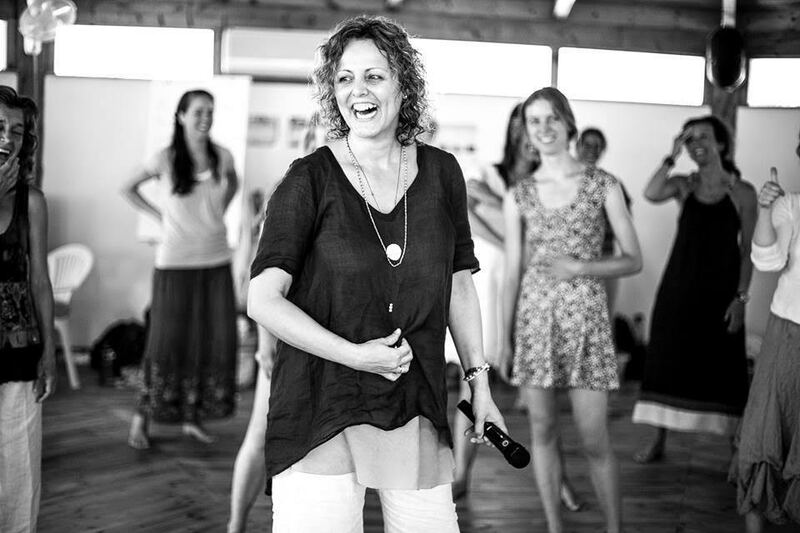 Week 4 is for women who have previously practiced in Awakening Women temple groups or live retreats with Chameli, have already established a reliable capacity to stay present in the physical and emotional body and who feel a strong pull towards Shakti-based spirituality and freedom. We will have dharma talks and practice from the early morning until 2 pm, and in the evenings after dinner we will gather for devotional chanting and meditation. There will be optional movement or meditation sessions in the late afternoons some days. If you would like even more open time, Week 3 may be a better option for you, where there is no evening practice or afternoon sessions. Saturday is an arrival day. Week 4 will start Sunday morning, July 7th and end before dinner on Friday, July 12th. Because of the heat at this time in July, instead of late afternoon sessions, we will meet for evening practice after dinner (mantra singing circle/silent sitting). Some days, there will be optional movement or meditation in the afternoon. At least one evening will be open with no program, and we will end our practice no later than 10 pm. 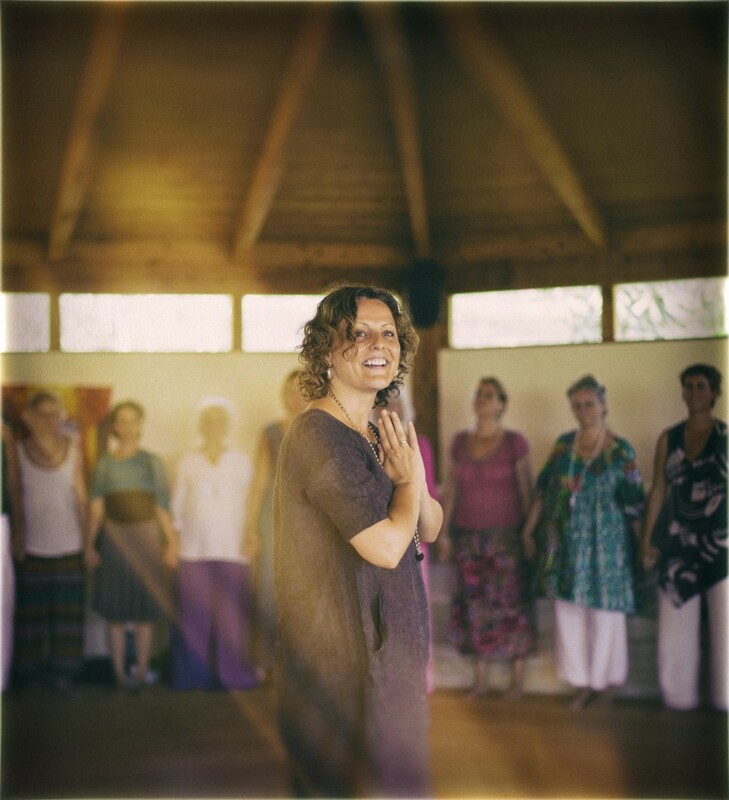 This summer, as an addition to our annual Yogini Summer Ashram in Greece, there will be an Awakening Women’s Temple Group Facilitator Training facilitated by SimoneRita Egger, June 22 – 29 (at a nearby retreat center). 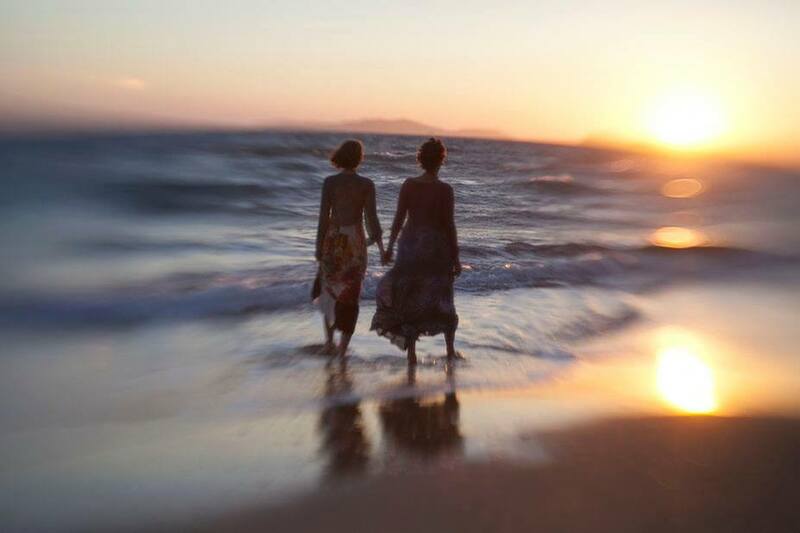 It has been a few years since we offered this training in Greece, and it has been a favorite for the yoginis as a deep dive into the theory and practice of Women’s Temple amidst the olive trees and beautiful beaches. 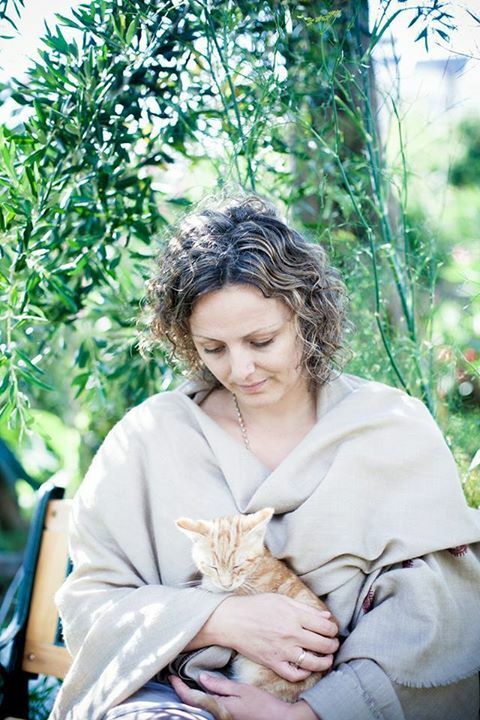 In the temple training you will learn how to create and facilitate a Women’s Temple group. 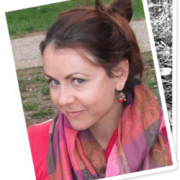 SimoneRita will guide you in an in-depth exploration of the theory behind the practices and guidelines that create a powerful circle for all the women to relax into. The learning process is a carefully balanced mix of theory and experiential transformation, with some time in the middle of the day for beach and integration. 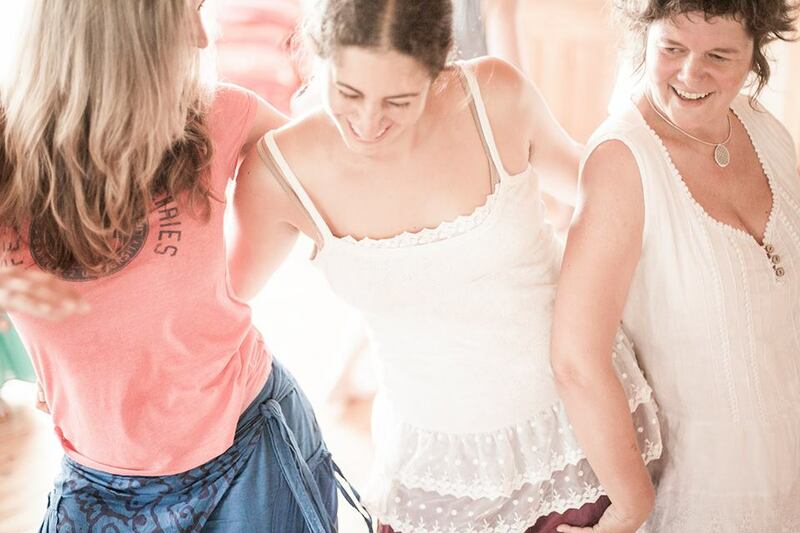 Combining the training with personal practice in the summer ashram before or after will enhance your experience as a leader, and allow for some dedicated time to replenish with your sisters. Ouranos Club is just a 15 minute walk to Alexis Zorbas and 3 minutes by the shuttle transfer the centers offer. It is very convenient if you wish to participate in the Summer Ashram before or after the temple training. It is very hard to express in words the inexpressible. Through many years of spiritual search, this is a very critical point of transformation, a stone in my foundation which was missing. Like a breath of such a fresh and life-giving air into my whole spiritual practice. So many answers, deeper than answers…a way to BE! I’d say that Chameli’s work for me is like a whole new world, a way to deal with so many stuck places. I think it is essential in our world at this time. It is accessible to anyone who is willing to do so, and that makes it sooooo precious! So profound. 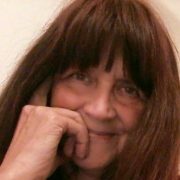 I feel I have been cracked open and have been given such beautiful practices and foundations for which to be fully myself, to trust the flow of life, to surrender fully to the longing and ache and discomforts that are the pathways to what I’ve always wanted! 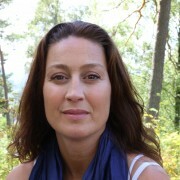 A devoted Yogini and the founder of the Awakening Women Institute. 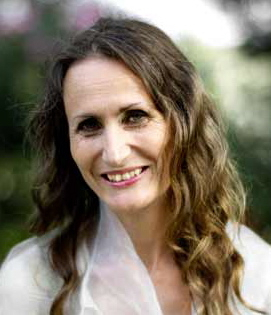 A celebrated transformational leader and one of the world’s pioneers of embodied feminine spirituality, Chameli has inspired thousands of women around the world, sharing her passion and deep connection with ancient feminine spiritual practices. 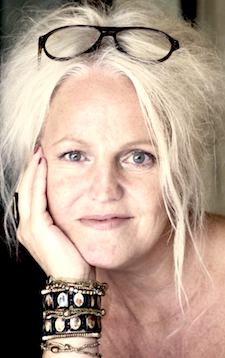 As a practitioner and teacher of feminine embodiment, her methods weave mythology and storytelling with embodied practice, meditation and the inner Yoga of the ancient Shakti traditions now expressed in modern form. 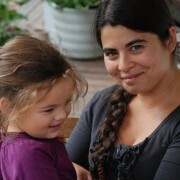 Chameli was born in Norway, and she now lives in Northern California with her husband, Arjuna. 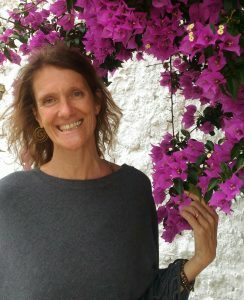 Karen stepped into the Yogini circle in Corfu 2011 and knew the feminine practices had something beautiful to offer her heart. 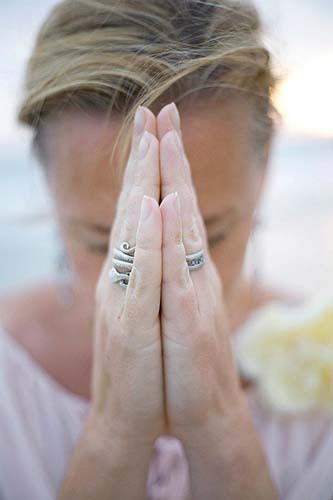 Inspired to living a life more intimately connected to truth, she maintains a daily commitment to sadhana. 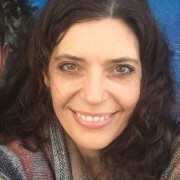 She keeps her AWI sisters in flow with her welcoming presence and administrative support for a variety of projects that keep the women connected to their own practice. 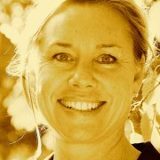 A yogini living in southern California, Karen also enjoys hands-on house projects, hiking and being car-free! 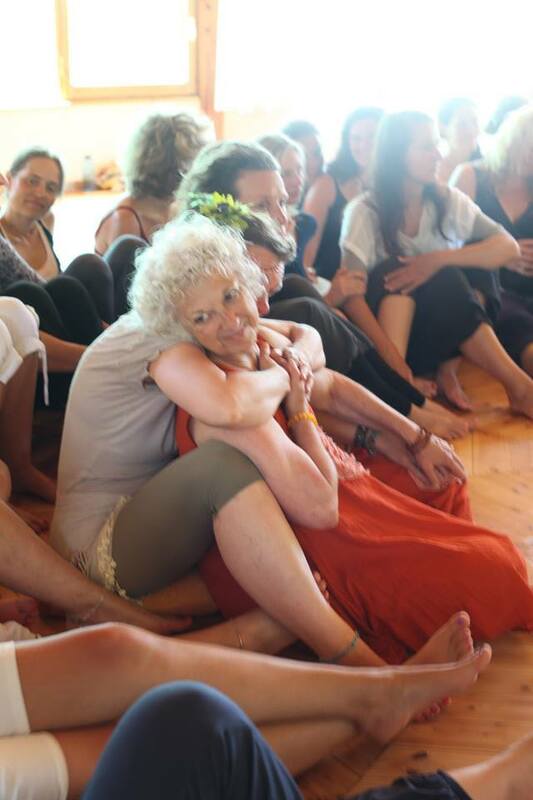 The Corfu Summer Ashram will be also be supported by a highly trained team of assistants who create a safe container for us all to go deep in practice … Jai Ma! It has been beyond my expectation! The combination of the different sessions supporting each other for the absolute perfect experience. Giving me the divine space (of feminine beauty, humor, sisterhood, music, touch, tears, love) to explore myself in a space where no words are needed. Such a healing of my feminine cent. 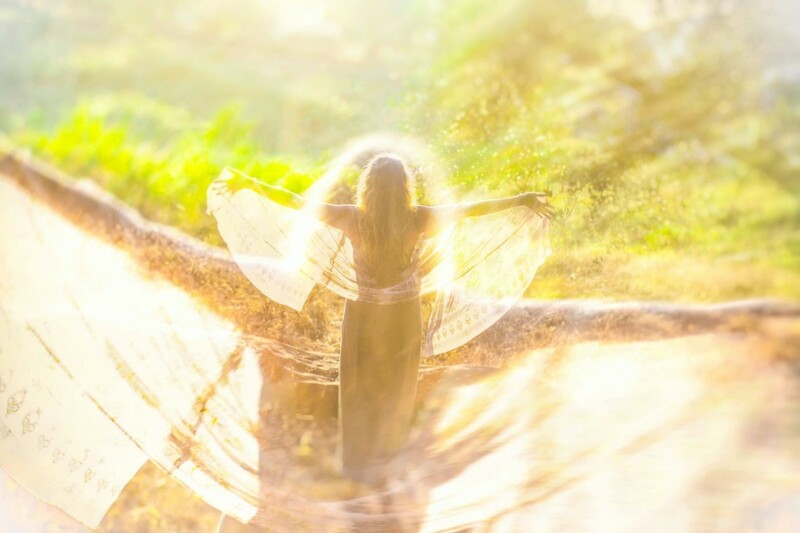 My inner Goddess feels free, alive and so willing to go back to the daily life as an inspiration to myself and other women. 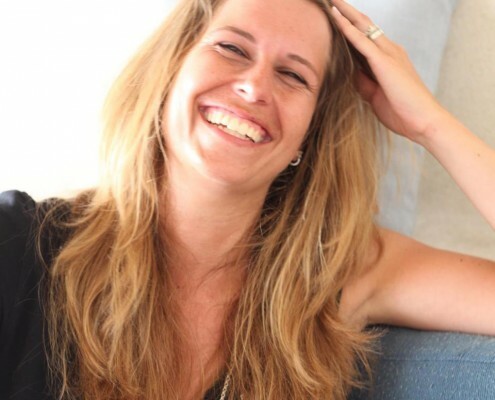 To step into leadership of my own life as a loving, empowered and joyful woman is a constant work that goes back and forth, year in year out, every day, every second. Sometimes I lose myself in too much work stress, irritation or frustration. It’s still like I need to go there to remember what is actually better and more healthy to do. 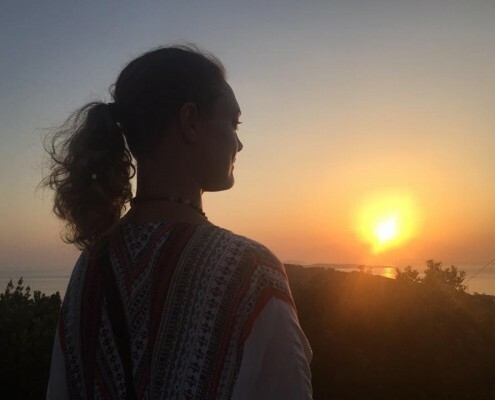 This was my third year here in Corfu and I just want to say–the day when this retreat is not needed anymore, that is the day when all women are using these tools to live and lead their life in full potential. Thank you!! There is a 30,- € discount if you book your room before February 28th. In case of cancellation before February 15th, we will keep 50% of your deposit as an administration fee. In case of sickness, you may transfer the course fee (minus deposit) to next year’s retreat. You have to use your credit for a similar course within a year, and you can only transfer the money once. There will be no refunds or further transfer of credits if there is a difference in the course price. If the course you are transferring to costs more, you pay the difference and deposit. Awakening Women Institute is financially responsible for the retreat, so we kindly ask for your understanding that we cannot make any exceptions to this agreement. 1) Click on the “Register Now” button below to register for the week(s) you would like to attend. After you fill out your registration information, you will be redirected to a page where you can submit your deposit via PayPal. You will secure your place by filling out the enrollment form and sending us a 235 € deposit (details below). As soon as we have received your deposit, we will send you a confirmation with information about the next steps. 4) Make your travel arrangements. 5) Complete your payment in full by March 15th for the early bird price or May 1st for the standard price. If we do not receive payment in full by May 1st, your place may be offered to someone on the waiting list and the deposit will be forfeited. Accommodations and meals (book this directly with Alexis Zorbas), airfare to Corfu, transport to/from Alexis Zorbas, additional activities and outings, massage, private sessions, lunch and additional meals/snacks. Week 3 is completely full and spaces for Week 1 only are also full. You may request to be on a waiting list. There are openings for joining Weeks 1 AND 2. Gifting myself two weeks of Shakti immersion on Corfu and with Chameli and her team, has been one of the most delightful and life changing experiences thus far. 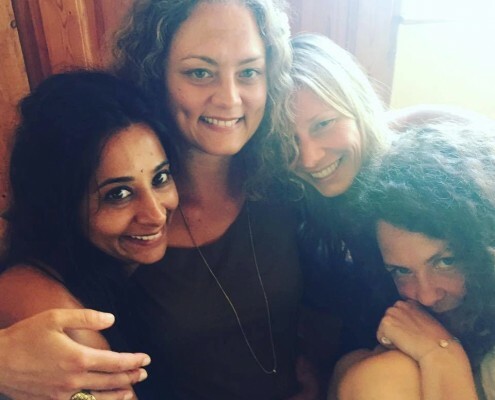 Chameli and her loving team of yoginis created a most delicious invitation for us women to show up and enter into holy communion with our deeper selves, illuminating the possible pathways of embodying Soul energy and holding an unconditionally loving and tender space to practice in. 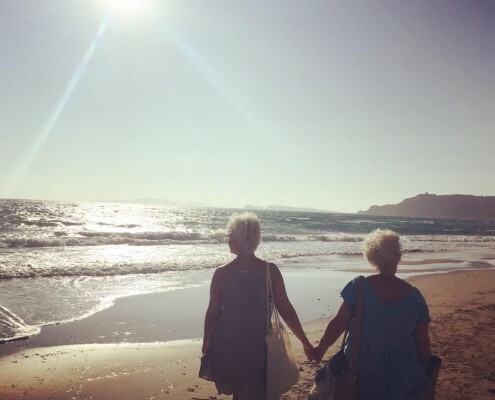 I am forever bowing to the blessed wisdom of the circle, made manifest within this marvelous group of women and on that beautiful island, Corfu. This has been one of the best experiences in my life. Life changing. So deep. So much love. I just love it all!! 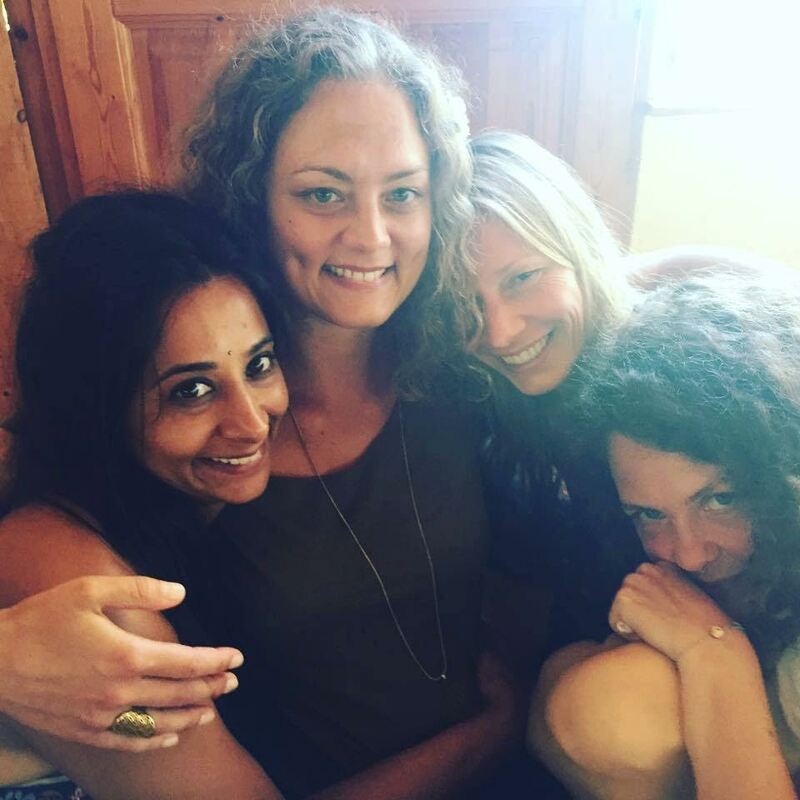 Chameli, Carina-Maria, the team–and to meet so many amazing, soulful women…What a field of love and transformation! I have participated in a lot of different spiritual courses in my life, but nothing as deep and beautiful as this. I am so grateful! The venue for our retreat is Alexis Zorbas Retreat center, a gathering place for open-hearted souls at the northwest side of the island. It is located within walking distance from Arillas, a small beach town. Both the lush nature and the friendly locals are super supportive of a dive into deeper layers of relaxed and slower paced living. We are housed in simple holiday apartments with two double rooms, kitchenette and one shared bathroom. Single occupancy is also available (most often a single room is with shared bathroom and kitchen). The rooms are not more than a 15 minute walking distance from our Yogini Temple (an octagon building) and from the restaurant where we will have our breakfast and dinner. All the accommodations are a 5-15 minute walk away from the Zorbas restaurant (Sunset Bar) and Octagon where we meet for our sessions. If you have special needs around accommodation or walking, be sure to inform Zorbas. Contact Zorbas Travel in Germany to book your room ~ ph +49 89 649 622 828 or info@zorbas-travel.de. Alexis Zorbas consists of different houses surrounding the Sunset Bar where breakfast and dinner is served. Some houses are close to the Sunset bar but a little further away from the Octagon (where we have our sessions), and others are closer to the Sunset Bar and further from the Octagon. You can book single or double rooms in an apartment (note: even if you book a single room you will most often share your bathroom and a little kitchen with at least one other woman). The rooms are small, simple and clean. If you are troubled easily by noise, please bring some earplugs because the music from the hotels on the beach can be heard, especially on Saturdays. If you don’t have a roommate, Zorbas will find one for you. If you book early, you might have the possibility to choose where you stay. If you have any questions or difficulties in walking, please tell Zorbas when booking your room. Contact Zorbas Travel in Germany to book your room ~ ph:+49 89/29160680 or info@zorbas-travel.de. 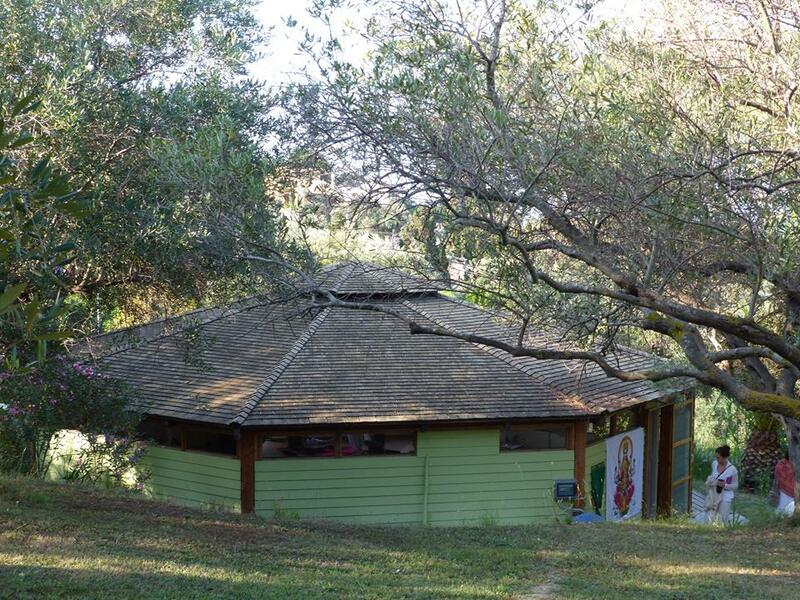 Liana (Main House) is close to Alexandra and the Octagon; most of the rooms have a great view and new bathrooms. You walk between 8 to 10 minutes to the Sunset Bar. Zorbas B is located close to the street which leads to the beach. There is another house in front of it, so Zorbas B is quite calm and has new bathrooms and most of the rooms have a beautiful view. You walk circa 8 minutes to the Sunset Bar and approximately 15 minutes to the Octagon. Anna Maria is located behind the Sunset bar on a little hill where you have a beautiful view. It is not directly next to the street, so it is calmer there. You walk approximately 15 minutes to the Octagon. The housing in Alexandra is now Full. Please look at other options when booking your lodging with Alexis Zorbas. Alexandra (Pink House) is right in front of the Octagon; it is the closest house to where we meet for the retreat. It has a wonderful view with rather new bathrooms; you walk 5-8 minutes to the Sunset Bar. You are responsible to get yourself to Corfu. If you want it easy, just contact Zorbas Travel, and they will book your flight for you (only flights from Germany). If you want to surf for the cheapest deal, you can try Ryanair.com, flythomascook.com, germanwings.com and airberlin.com. These two weeks have been a re-awakening of—a coming home to—my feminine domain. A place of resting and being in my truth. Slowly I’m filling the gap between being and doing so that I can actually give and contribute to the world and feed and nourish myself at the same time. This place is so beautiful. The sounds of the birds, dogs, roosters bringing you into the present moment all the time. The abundance of flowers, trees of ripe lemons!! All the beauty! So nourishing! I’m so grateful for the simplicity the teachings create in me. Free flowing and acceptance. I have discovered that in resting with what is, there is unlimited energy! 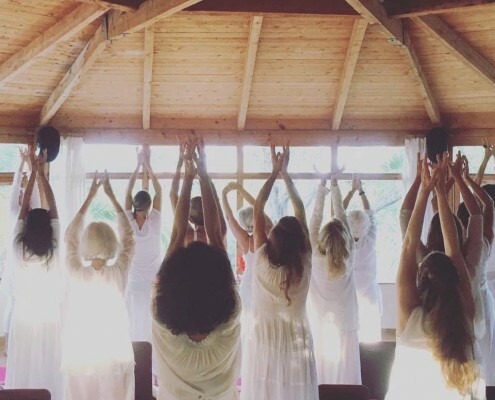 All participants of the Yogini Summer Ashram in Corfu must have a background in spiritual practice and must have at least taken one online sadhana with Awakening Women (here you can find our online self-study sadhanas). 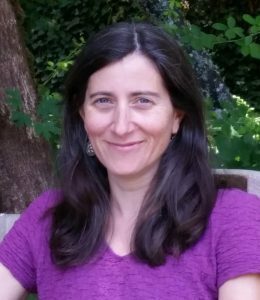 In order to benefit from these retreats, you need to come prepared to dive fully into the practices, and therefore it is best to have a basic understanding of feminine/embodied spiritual practice. 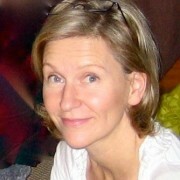 You need to have done a program with AWI before, practiced in a Temple group, or at the least, taken an online sadhana. Come willing to explore a new way of being with other women beyond our collective tendencies of competition and gossiping. 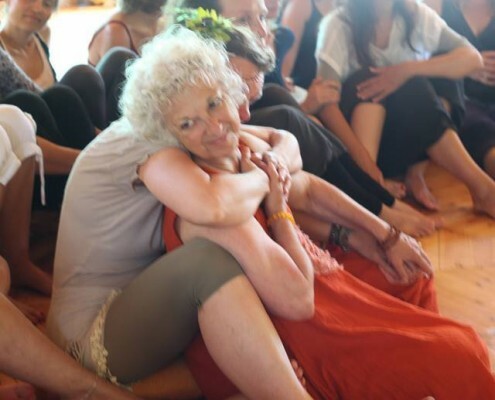 The practices we explore together may evoke strong feelings in you, both of pleasure and of discomfort, and our staff and the entire circle is there to hold you in the most healing and safe space. Our practices can sometimes be physically vigorous, so be prepared to move your body! Week 1 is for all women. 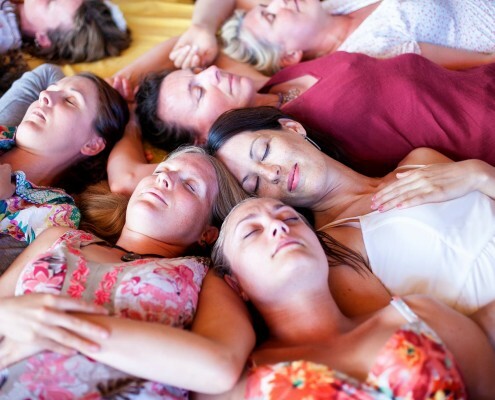 Newcomers to Awakening Women retreats are welcome, although you must be familiar with our approach and must have completed at least an online sadhana. 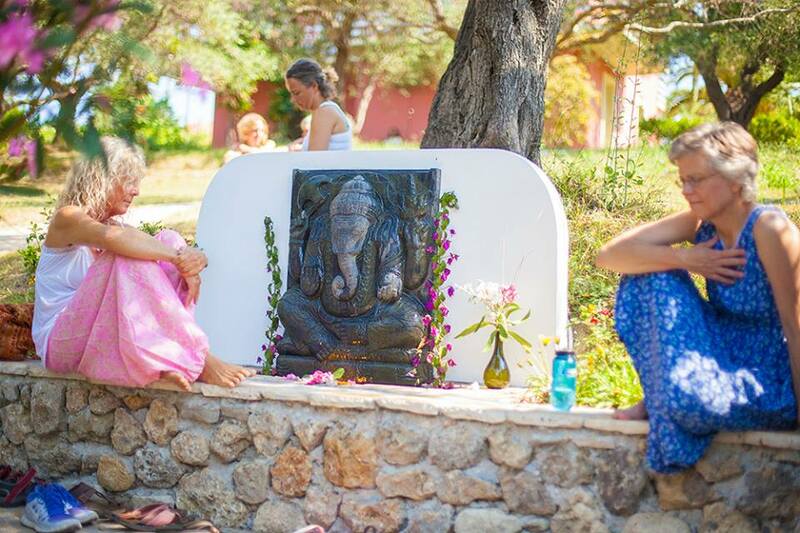 Week 2 In order to join the second week, you will have to have participated in our Summer Ashram in Corfu before. It is extra challenging to join a retreat in the middle, so we recommend all women to join the first week if you only can come for one week. Week 3 is for all women. 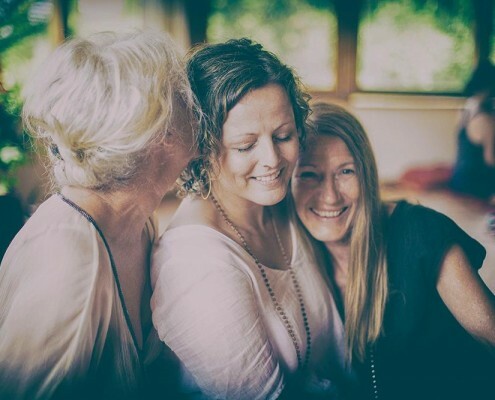 Newcomers to Awakening Women retreats are welcome, although you must be familiar with our approach and must have completed at least an online sadhana. Do I have to stay at Alexis Zorbas retreat center? 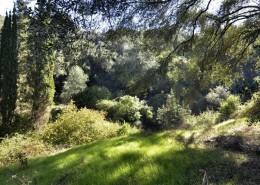 Yes, we have an agreement with Alexis Zorbas that the participants in our retreats must stay in the Zorbas apartments. There are no exceptions. Can I join in the middle of the week? No, we begin each week together as a group and it is important that everybody is there from the beginning. The accommodation price includes bed in double occupancy, vegetarian breakfast and dinner. It does not include lunch, wine/beer or cappuccino. 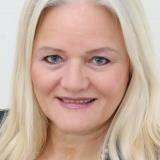 Zorba Travel will be happy to answer your further questions about accommodations. Ph:+49 89/29160680 or info@zorbas-travel.de. Click any of the “register now” buttons on this page to enroll and make your deposit via PayPal. You will secure your place by filling out the enrollment form and sending us a 235 € deposit (details are under the “register” menu). As soon as we have received your deposit, we will send you a confirmation with information about the next steps. 3) Make your travel arrangements (See “Getting There” under the Accommodations section). 4) Complete your payment in full by March 15th for Early Bird and May 1st for regular registration. If we do not receive payment in full by the applicable due date, your place may be offered to someone on the waiting list and the deposit will be forfeited. In case of sickness, you may transfer the course fee (minus deposit) to next year. You have to use your credit for a similar course within a year, and you can only transfer the money once. There will be no refunds or further transfer of credits if there is a difference in the course price. If the course you are transferring to costs more, you pay the difference and deposit. You can buy groceries in one of the many small supermarkets and eat in your apartment or on the beach. Or you can have wonderful Greek food at one of the cozy restaurants that are next to the beach. The prices are from 6 EUR and up. Yes, this is the summertime and it gets hot in the day. The ocean is cool, and our group room is blessed with air conditioning and fans. (If you are sensitive to air conditioning, please bring a shawl/sweater to the room.) The evenings are usually a bit cooler. Zorbas Travel is arranging airport transfers for passengers arriving and departing on Saturday. This costs 25 EUR each way. Many of the flights from Scandinavia arrive on Friday, and if there are enough women, Zorbas will arrange for an extra bus for us, also 25 EUR. Alternatively you can share a taxi, which costs around 60 EUR one way. The trip from the airport to Alexis Zorbas takes a little less than an hour. Do you purchase carbon offsets? Yes, we do! We purchase enough for everyone participating in the retreat. We invite you to also contribute as you book your travel plans. Here is a program with United Airlines that we use. Check with your airline as many also offer a similar program to offset the impact of your flights. We recommend that you not bring your children for week 1 and 2. 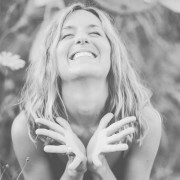 The sessions can be very deep, and you will most probably need to spend the free time with yourself and your Yogini sisters for integration and relaxation. In week 3, you will have free time after 2 pm, so if you want to bring your family, this would be the best week to do that. The retreat is a deepening in feminine practices and not primarily a vacation; all participants must be present in all the sessions. 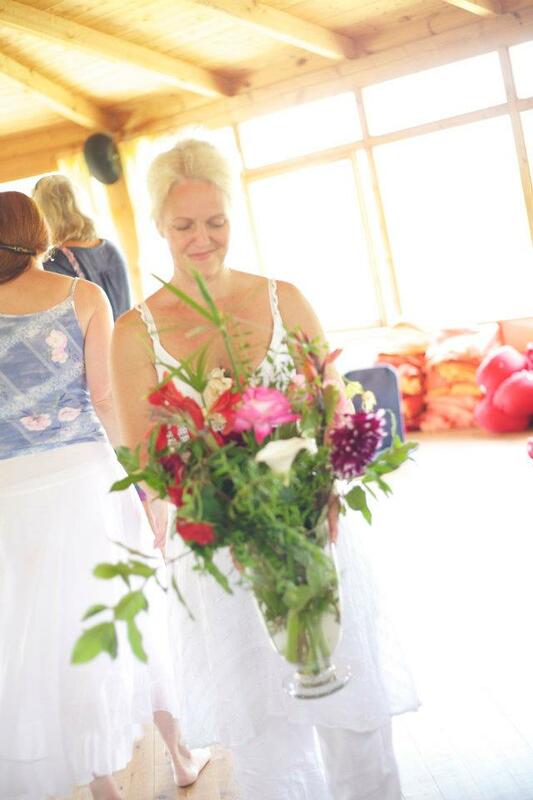 If you would like a retreat with more vacation time, join us for Week 3 ~ The Yogini Lounge. I highly recommend this spiritual circle of women. 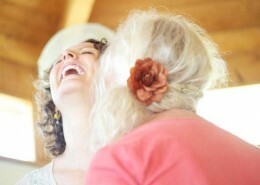 To be in a loving women’s circle with a teacher as dedicated and clear as Chameli is a blessing. 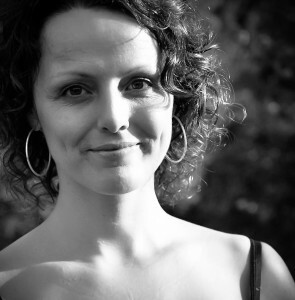 It is the feminine way of embodied spirituality—soft, deep, sensual, life-changing. This retreat was one of the most beautiful experiences of my life. The whole experience is priceless. 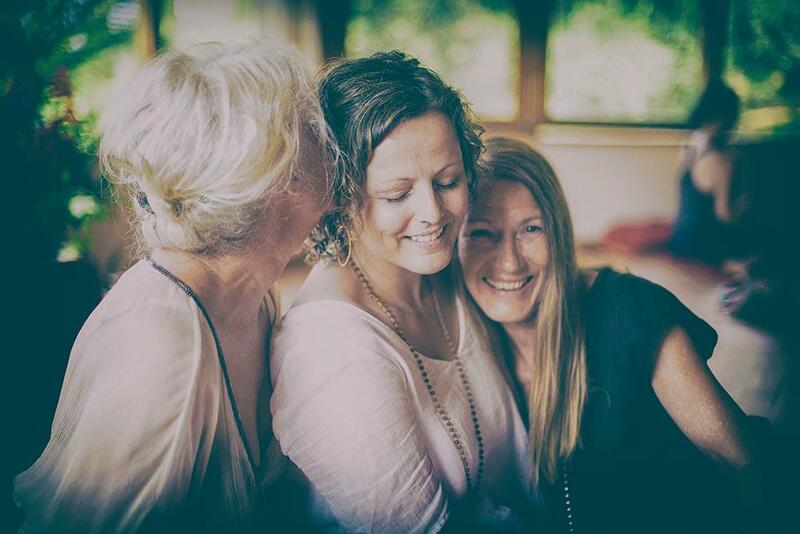 One of the most incredible gifts I have ever given myself is being present here with the yogini sisters. I completely felt the love and presence in my hands during the respectful touch practices. It is pure intelligence, natural, intuitive and is one of the great joys of my life to feel my heart in my hands and love and support sisters from all over the world. It was deeply moving to see all the sisters commitment and willingness to dive into these practices with each other with our hearts wide open. It really was a homecoming. I’m excited to be the love that I am.